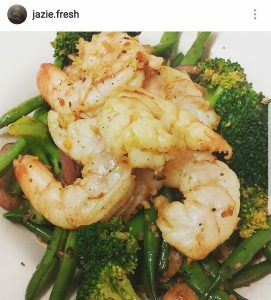 Jazie Fresh Meals is an on-demand weekly meal service that was just launched this year (2017) in Kent. 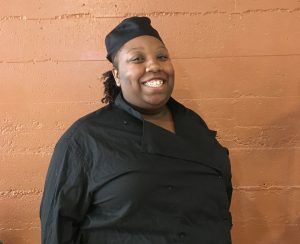 Owner and chef Jasmin King joins us for an interview as one of FIN's newest Entrepreneurs. 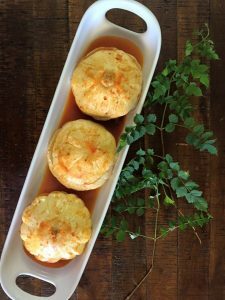 Service Area: Pick Up or Free Delivery in Kent, $5-$10 from Tacoma to North Seattle Availability: Orders Filled Every Sunday Contact: (253) 259-4767 Website: jaziefreshmeals.weebly.com Q: Tell us about your business? I produce freshly made meals every week, which are rapidly cooled and may be reheated and consumed by my customers through the week. These meals are never frozen and are made with fresh ingredients, many of which are locally sourced. New menus are available every Wednesday and customers order by Friday for either pickup or delivery on Sunday. Customers can pick and choose how many meals and entrees they’d like to purchase and there is a discount for a full week’s worth of meals. Q: How did you get the idea for your business? What inspired you to start this business? 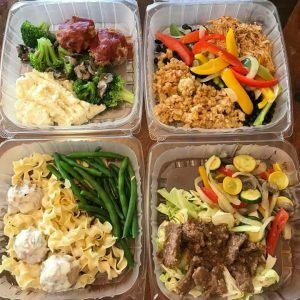 When I started on my journey to eat healthier meals regularly, I realized how much time I put into preparing these meals. While I had the extra time, I knew most people wouldn't. I also researched blogs of folks trying meal preparation on their own. A common struggle was that people would end up having the same meal for a week at a time. I want to help people get into a healthy eating lifestyle while not having to get stuck in the bland and boring routine that comes with not having enough time. Q: What makes you stand out from restaurants? My meals are prepared and quickly cooled so that you can reheat them on your own time, over the course of the week. However, a typical restaurant meal, even if it’s healthy, will only stay fresh for a day or two. Since my meals are not made for service and you receive them cold, they are able to be kept fresh for a week instead of only a couple of days like leftover takeout. Also, unlike restaurants, my menus also change on a weekly basis so that you don't get stuck with the same five meals every week. Q: What do you like best about your work? I love to cook and create new dishes. The task of making them so that they keep and taste good after reheating plus the challenge of keeping them low calorie always keeps me on my toes to create something new. Q: What is your business’ biggest challenge? I think the biggest challenge will be growing customer base. I am sure that once word gets out it will be much easier to keep up business. But since I’m just beginning, it may be very slow for a while. Q: What is something people might be surprised to learn about you or your Cooking was not my first choice in careers. I was originally interested in science, but once I started cooking meals at home I became more interested and realized how much science went into cooking. I really saw how much more fun it was to create dishes and l knew it was what I wanted to do. Q: What types of services or programs have been helpful? Culinary school and working in kitchens have definitely been helpful in my journey and now that I am starting I can't wait to work with FIN and Ventures. I have only begun my journey with them and am looking forward to the extra support. Get in touch with Jasmin and check out her Facebook page for the latest menus! 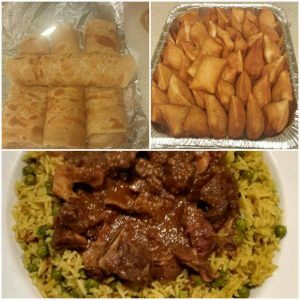 Swahili Food Seattle is an East African catering company started by a Kenyan immigrant. Founder and Owner, Benson Nzioka discusses how he got inspired to start his business and his dreams for the future. 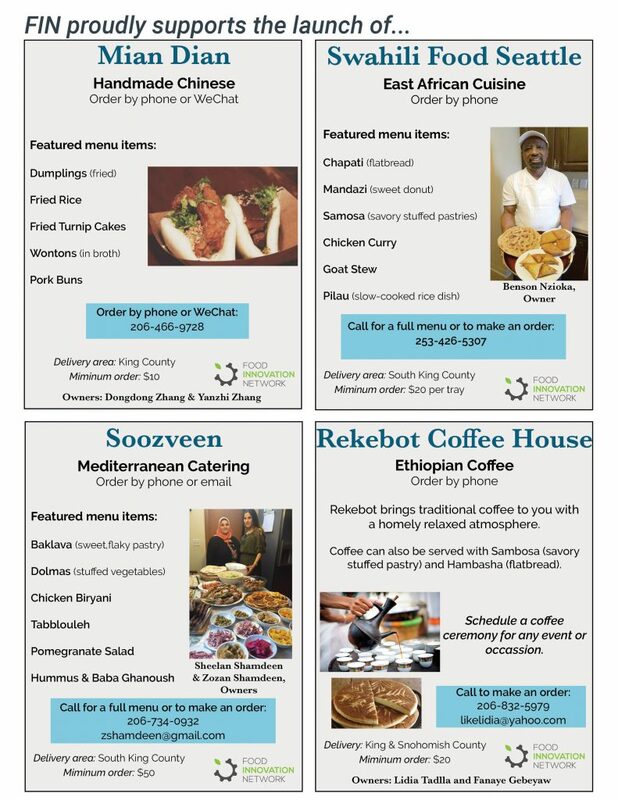 I cater East African food across King County communities. I cater small occasions, birthdays, graduations, small parties and individual meal orders. The African community loves my food because it meets their cultural appetite and is affordable. I’ve found there is a lot of interest in Kenyan cuisine outside the African community as well and I always enjoy meeting people who want to try African foods. Q: How did you get the idea for your business? What inspired you to start this business? I saw that many Kenyans were getting very busy and did not have time to cook traditional meals. I worked in the food industry back in Kenya and have always loved to cook, I realized I could fill that need. I was number four in a family of twelve, I started cooking at a young age and everyone in my family loved my food. When I came to America, I saw that many Kenyans were busy and did not have time to cook traditional meals. The idea to start a catering business came very easily to me and I did not enjoy any other kind of job when I came to America. When I talked to family and people who knew me back in Kenya, they would always tell me I needed to start a Kenyan food business. Q: What makes you different from other types of African restaurants and caterers? Flexibility, the joy of seeing people appreciate my food and services, I enjoy interacting with people and sharing the experience and food from my culture. It is always fun to meet people who have visited Kenya and for those who can’t make it all the way to Africa, I am pleased to bring my culture to them. I am trying to grow my business so I can have my own commercial kitchen. I don’t want to run a restaurant but instead to provide catering services and supply local restaurants and grocery stores with fresh Kenyan food. In order to do this, I need capital to buy equipment and, eventually rent a large space to work from. I am challenged by financial resources to grow my business, hire staff, and expand my business ideas. For now, I am focusing on building my catering business and marketing to new customers. Q: What is something people might be surprised to learn about you or your business? That I never went to school to learn cooking skills, they can’t understand how I taught myself to cook such tasty food. Q: What types of services or programs have been helpful? I’m telling you, I learned something I could not have imagined with I joined FIN. I knew that I could own a business but not necessarily how to do it. For instance, I learned how to operate in a commercial kitchen and how to scale recipes for large orders. Before this I cooked by feel and taste but I needed to learn how to measure and create consistency between dishes. My next adventure will be to improve my marketing skills. [caption id="attachment_1663" align="alignleft" width="288"] Benson cooking from the FIN booth at the Federal Way Farmers Market[/caption] Q: What would you say to other small food business owners thinking of working with FIN? That FIN is the ultimate program for people like me with a passion for food business. I would encourage other immigrants to join FIN and be intentional about taking the advantage of available resources, FIN has resources that can meet their every food business need, their financial support is very practical, I can’t believe they paid my public health permit, there is nowhere else you can find this kind of support, FIN has treated me like a parent treats and cares about a child, it is a unique program if you are committed to the process. I would encourage them to be very persistent to the process. 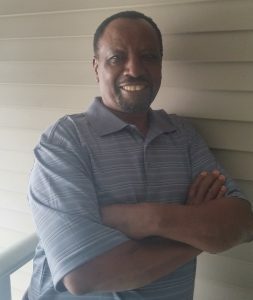 Connect with Benson to make an order or volunteer. P.S. Benson would love help with creating marketing materials. Soozveen is a mediterranean catering company started by two Kurdish-American sisters in Des Moines. Co-owners Sheelan and Zozan Shamdeen discuss how they got their start and give invaluable advice on beginning a small business. Soozveen is a Mediterranean catering company run by two Kurdish-American sisters. We cook for events – but really anything more than 5 people. Q: What inspired you to start this business?We always wanted to start a small bakery – ever since we finished high school. We watched our grandmother, mother, and aunts cook all the time. From memorized family recipes, they cooked complicated dishes without measuring a thing, and even when they were exhausted. It was when our mother got sick that we started helping out more in the kitchen. We would cook so much food and then take it to Highline College, where we were working at the time - and still work.The staff and teachers would tell us we made so much food that we should just open a restaurant. Dean Alice Madsen was the first to seriously encourage us to think seriously about opening a business and connected us with classes and support.. We thought it was just going to be a side job and that it would not become anything real but before we knew it there were orders coming in and we were going through the process to formalize our business. Q: What makes you different from other types of catering business? We cook with love. Soozveen actually means ‘the promise of love’. We have a true passion for this work and care about everything from flavors to presentation. There are a lot of Mediterranean/Iraqi restaurants but we are one of only two Kurdish in King County. We are unique in our use of spices that we get from Northern Iraq – it’s really the taste of the land. Our specialty is our stuffed grape leaves (dolma) and baklava. Q: What is your business’ biggest challenge? Finding clients. Right now, our biggest clients are through our personal and professional networks. Word of mouth is really successful for us but it takes a lot of time. We would really like to build a base of businesses and event spaces to serve.Q: What do you like best about your work? Meeting different people. Hearing people’s experience with our food and making them happy and smile. When people see good food it's easy to forget your worries. We don’t like to change the recipes, we want to keep it like we cook it at home for our families. But we make a lot of dishes and it’s just a matter of finding the right dishes for a client’s palette. We do, however, make a big effort to meet people’s dietary and health needs. 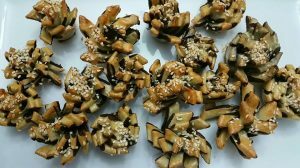 Some things we may bake rather than use the traditional methods of frying in oil because a lot of people have become so health conscious and we want to meet those needs. Q: What is something people might be surprised to learn about you or your business? There is a story behind every dish – you will have to ask us when you make an order. The other thing is that people have a lot of misperceptions about middle eastern people – one thing you may not know is how open and welcoming our culture is – to eat together brings people together. To go to a middle eastern person’s house is to eat a lot of food – food is how we share our stories and our love for each other. Even a very poor person will find a way to share food with a guest. Q: What types of services or programs have been helpful? StartZone at Highline College has a lot of workshops around marketing, labelling, accounting. Project Feast helped us in nutrition and food safety. FIN has helped us to get our business license and permits and to connect us with more people – to help us build our network. Ventures provided training to help us understand how to plan and run a business. Q: What would you say to other small food business owners thinking of working with FIN? There are so many opportunities out there, you just have to believe in yourself. But at the same time, be prepared. There are a lot of logistics you need to learn – things will not happen right away and you need to take the time to be prepared and don’t react out of a sense of urgency. Believe in yourself and you must believe in any organization you are working with, the trust must be there when you are getting help from someone. Connect with Soozveen to make an order or volunteer. P.S. They would love help with professional photography and designing a website. It’s official…FIN Entrepreneurs have launched! FIN is excited to support the launch of four new local caterers cooking out of our shared commercial kitchen in Kent. The catering businesses each received a small start-up grant and reduced rent fees and are now fully licensed and insured caterers. FIN partner, Project Feast, is a core tenant, training culinary apprentices who operate the lunch cafe, Cafe Ubuntu. FIN is working closely with partners Ventures, StartZone and Center for Inclusive Entrepreneurship to ensure each entrepreneur is matched with a business coach, receives ongoing training and identifies market opportunities such as catering events, farmers markets, and festivals. The seven entrepreneurs are operating under 4 catering businesses and will be cooking up cuisines from around the world. Swahili Seattle Food, Soozveen, Rekebot Coffee House and Mian Dian cater dishes and flavors from Kenya, Iraq, Ethiopia and China. Many thanks for the support from Seattle Foundation, Communities of Opportunity, Port of Seattle, and City of Kent. Their generous support has helped FIN and partners to build out the commercial kitchen and ensure the entrepreneurs and apprentices have the support services needed. And a special thank you to Project Feast for spending the many hours managing the remodeling project! If you have a catering or special event coming up, please give a FIN entrepreneur a call! FIN has an official Pilot Kitchen! After over 6 months of looking, FIN has officially secured a space for our Pilot Kitchen, located in the Kent Partnership Development Building. We faced many challenges trying to find an available kitchen space within SeaTac or Tukwila; reinforcing the timeliness of our work and dedication to creating durable resources in SeaTac and Tukwila. It is in the Pilot Kitchen that we will work to test our service coordination and model business incubation with the first cohort of FIN entrepreneurs. This work will help us become ready to enter the FIN Center, slated to open in 2018.